Nahidz is an Indian Takeaway based on 4 New Parade in Portchester. We serve a wide range of delicious Indian food and offer online ordering. In a time when Indian takeaways seem to dot the landscape, it is nice to know that some of them take their practice very seriously. Nahid'z is one of these takeaways. 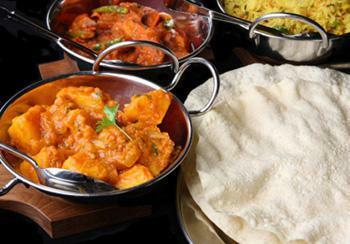 We offer some delicious Indian food available fresh from our kitchen - so why not order a fantastic tasty Indian meal. Nahid'z provides all customers with the best possible overall value, without sacrificing quality and quantity. They do their best to ensure customers have an enjoyable dining experience. This new website offers a great Online Ordering service for all our Indian Takeaway meals. We offer both a collection and a delivery (within a 4 mile radius) service for all you Indian Online Orders. To make the whole experience even easier you can now pay with a credit card. Before you make any orders, we recommend you join the free Nahid'z Gold Club. As a member you can get £2.50 Off Takeaway. We will also reward you with gold club points for every online order or booking you make - which will lead to more savings in the future. NEW: Pay Onine with your Credit Card!!! Miniumum order value of £20. Can only be used on www.nahidztakeaway.co.uk. Cannot be used in conjunction with any other offer. Here at Nahidz an Indian Takeaway in Portchester, we have a wide range of menu options. Serving delicious Indian food, we are sure we have something for you to enjoy. Minimum delivery time is 45 minutes from when order is placed.